Watch: UAE Minister of State for Foreign Affairs criticizes Iran, says it is exporting missiles to Yemen and Syria. 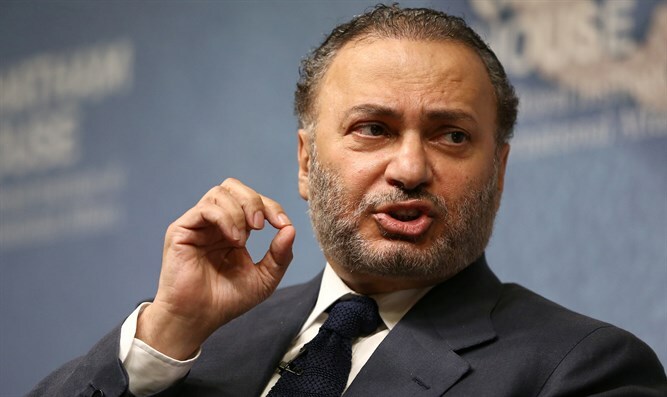 In a recent interview on Al-Hurra TV, UAE Minister of State for Foreign Affairs Anwar Mohammed Gargash said that despite Iran's claims that its missiles are for purposes of deterrence, they are being exported to Yemen and Syria and being used against Saudi citizens. He said that the UAE wishes to see a united and Arab Syria, and that Iran must not have the presence or freedom of movement that it currently enjoys in Syria. Gargash added that the strategic breakthrough in relations with Israel must be linked to a similar breakthrough in the peace process. The interview, which aired on January 30, was translated by the Middle East Media Research Institute (MEMRI). Gargash was asked how he sees the latest Israeli-Iranian confrontations in Syria and whether he is afraid the situation might escalate. “At the end of the day, we support Syria. We support a united, capable and Arab Syria. However, this conflict is also a consequence of the Iranian intervention,” he replied. “We believe that Iran must not have such a presence in Syria, and that it should not have such freedom of movement there,” stressed Gargash. “I believe that the big strategic breakthrough in the relations with Israel must be linked to a similar breakthrough in the peace process. Without this, we will witness nothing but small things, such as the participation of an Israeli delegation in this or that activity, or an Israeli delegation visiting somewhere. I believe that these matters have become marginal. The big breakthrough, if there is one, will also require a change in the political course,” he added. This is not the first time that Gargash has criticized Iran. In November, he said that Iran's "aggressive policies" were "largely responsible" for the reimposition of US sanctions on Tehran in the wake of the US leaving the 2015 nuclear deal. As for Israel, a new Israeli diplomatic mission was opened in Abu Dhabi in 2015, but the UAE stressed that the move does not represent a change in policy regarding UAE-Israeli relations. Nevertheless, Israeli officials have visited Abu Dhabi in recent months, including Communications Minister Ayoob Kara and Culture and Sports Minister Miri Regev. It was also reported that Labor Party chairman Avi Gabbay secretly visited Abu Dhabi in early December 2018 and met with senior government officials there. The Labor Party refused to confirm or deny the report.